This may not be their first foray into selling their own gear (the company launched Stoic back in 2009), but Backcountry is now going all-in with goat-branded collections including everything from lifestyle apparel to tents and duffels. To be rolled out over the course of the next year, the various collections include both in-house designed pieces as well as collaborations with other brands — together there will be around 180 SKUs. Backcountry made the jump not only because it offers better margins, but also to take advantage of all the feedback they receive from customers through the company’s Gearhead program — the hundreds of customer service experts that answer your every question and listen to your every complaint about the gear you buy. There is a wealth of knowledge there about what outdoor gear consumers actually want. 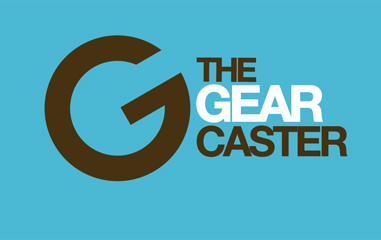 “Through the Gearhead program, we have so much customer insight. We’ve made that an integral part of our design. These are products you won’t find anywhere else,” remarked Diana Seung, EVP Merchandising at Backcountry.com. Starting today, Backcountry releases online around 75 pieces of lifestyle apparel for both men and women. On June 1, the e-retailer will follow up the apparel with a line of tents and other camping gear, as well as duffels a couple of weeks later. I am excited to see the mountain biking apparel that will hit the online store later in the summer. The fall/winter season will bring yet another lifestyle collection as well as a full technical line for a backcountry touring. To complete the line, Backcountry collaborated with a variety of different brands who are experts in their own categories — Flylow on a ski bib, Smartwool on ski socks, Black Diamond on gloves, and DPS on skis. The collaboration pieces will feature a dual logo and Backcountry will round out the line with their own gear including an insulating layer, fleece, down jacket, vest, and underwear. I can already say I want the women’s ski touring gear pictured above.